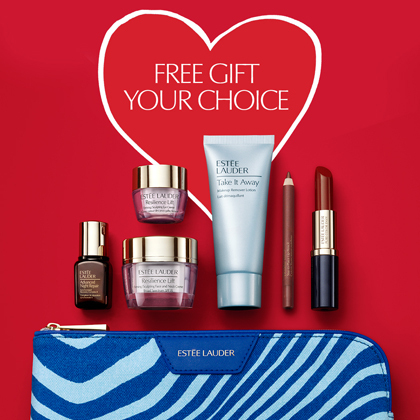 Estee Lauder 2018 Free Gift. Worth up to $150.00 with any Estee Lauder purchase of $37.50 or more. Worth up to $220.00 with any Estee Lauder purchase of $75.00 or more. * Auantities Limited. One gift per customer, please.